Tapflo Group is an independent, family owned, Swedish manufacturer and global supplier of Air operated diaphragm pumps, centrifugal pumps and other industrial process equipment. Tapflo is a leading pump manufacturer with the ambition to provide a wide range of premium products for various industrial applications. With experience from industrial fluid handling and pump manufacture since 1970, we know what you as a customer require from an industrial pump. Ever since we started our manufacture of air operated diaphragm pumps, we have always had our winning concept in mind: to create compact diaphragm pumps for reliable duty and with a minimal number of components enabling easy maintenance. We are always keenly aware of new requirements and ideas from our customers. The products are therefore always in continuous progress with improved detail solutions, new materials and further accessories. Tapflo is represented by own com­panies and independent distributors in more than 60 countries spread over the world on 6 continents - products and spare parts are available worldwide. Our aim is to continuously provide premium products according to evolving needs of our customers. That is why we see each customer relationship as a long term commitment. Our intention is always to help our clients find the most cost effective solutions to increase their company’s efficiency. If this means changing the design of the pump we see it as a challenge - not a problem. impossible not to discover ways to improve it. This allows us to frequently offer solutions that are even more sustainable and efficient. 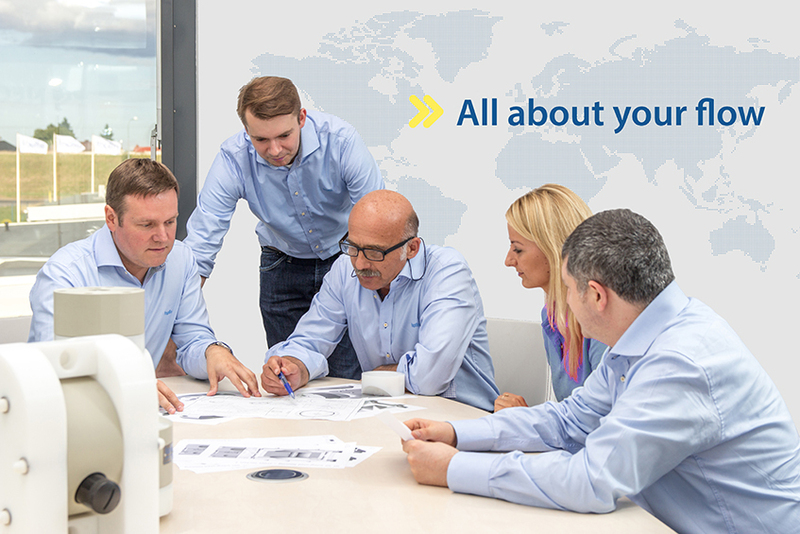 questions, offering solutions and supplying spare parts with a minimal loss of time.